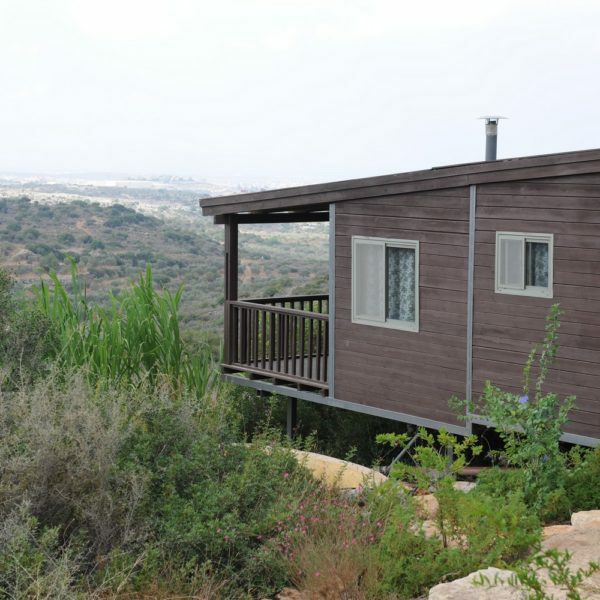 Smadar’s Cabins at Klil are suspended above the valley like lookout points. 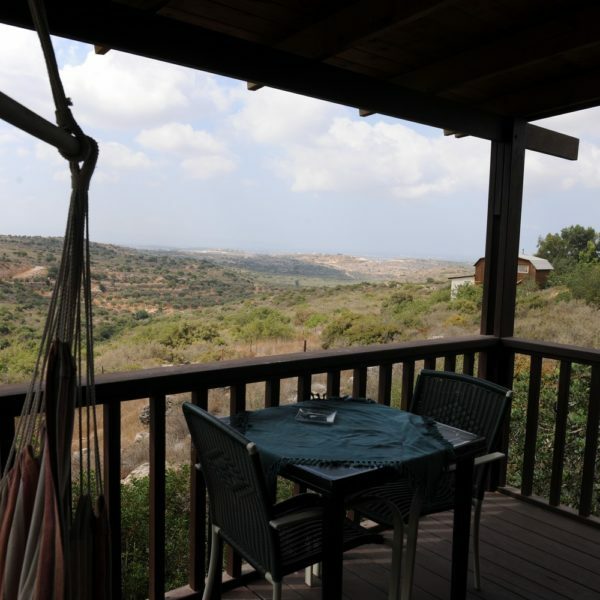 On the balcony of the Valley Cabin guests can lean on the wooden rail and feel like hunters or true nature enthusiasts occupying a splendid observation spot in order to observe animals and vegetation further below. 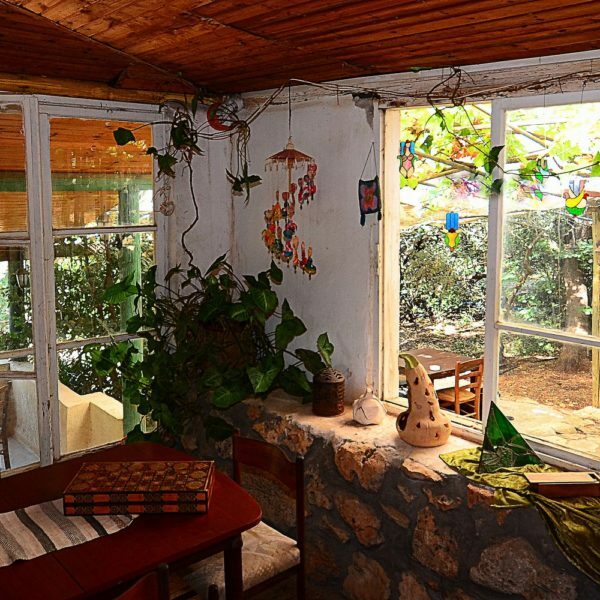 However, an abundance of treats await guests on the other side of the rail as well. 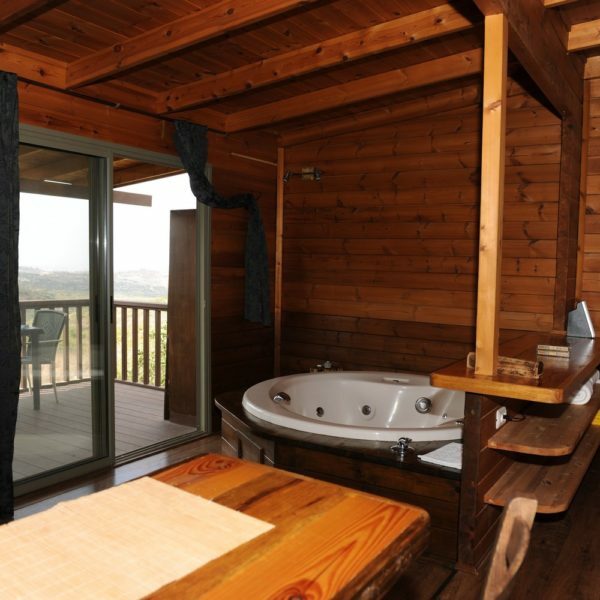 Inside the rustic guest room, one of three particularly secluded cabins, there is a pampering Jacuzzi that also grants users full view of the surrounding greenery. 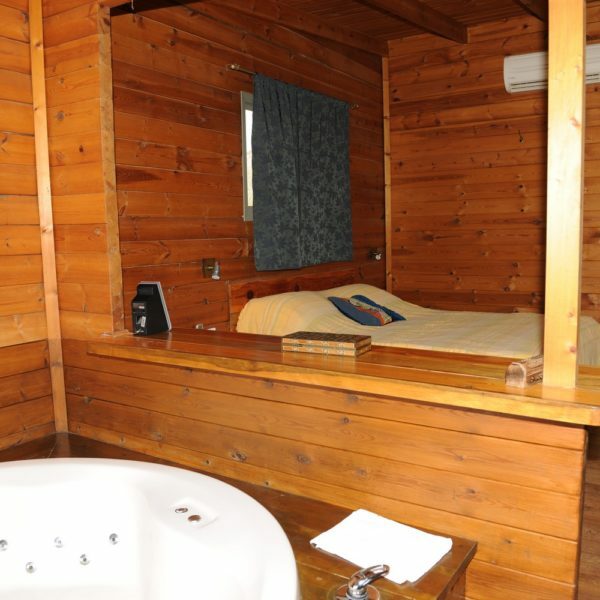 The interior of the cabin entertains a large full wood, unique double bed and a mattress covered by soft bedding. 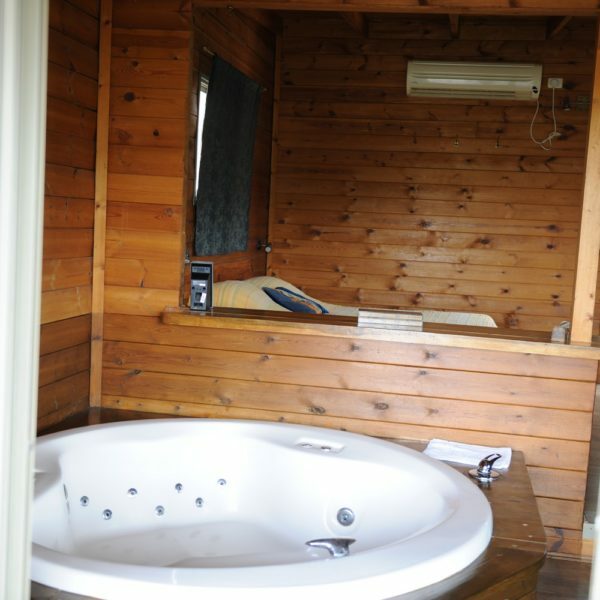 Nearby – a comfortable, soft sitting area where one can enjoy the satellite television and DVD, or listen to quality music. 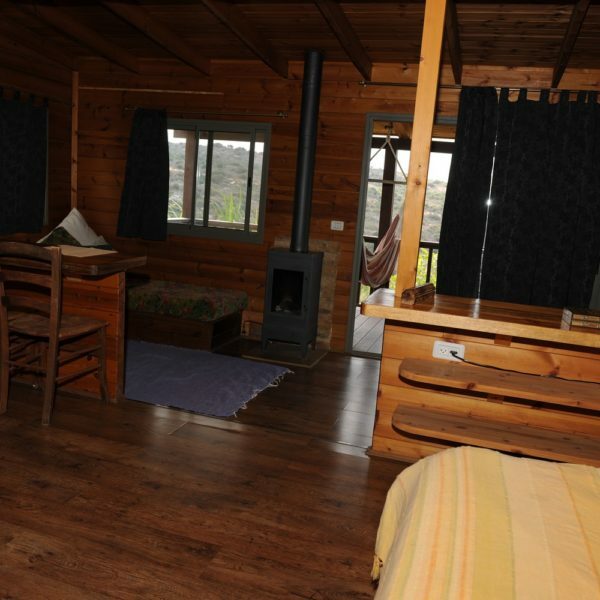 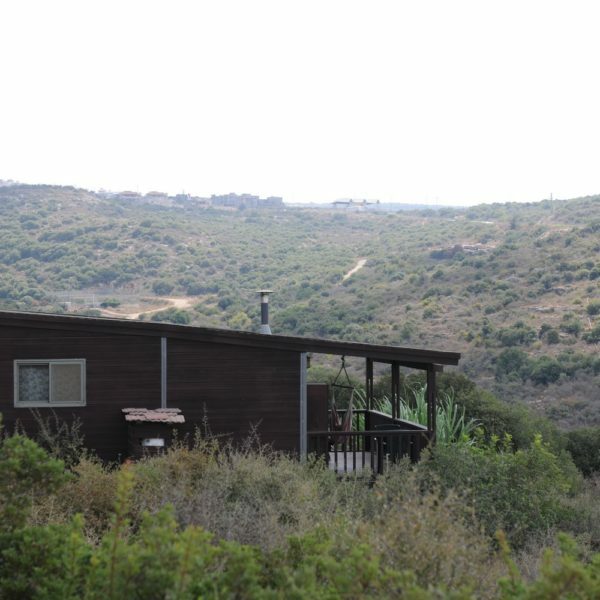 Smadar’s cabins provide a unique experience in the winter, with their warm fireplace and accessorized kitchenette at the center of which stands a dining table with an adjacent comfortable, soft sitting area. 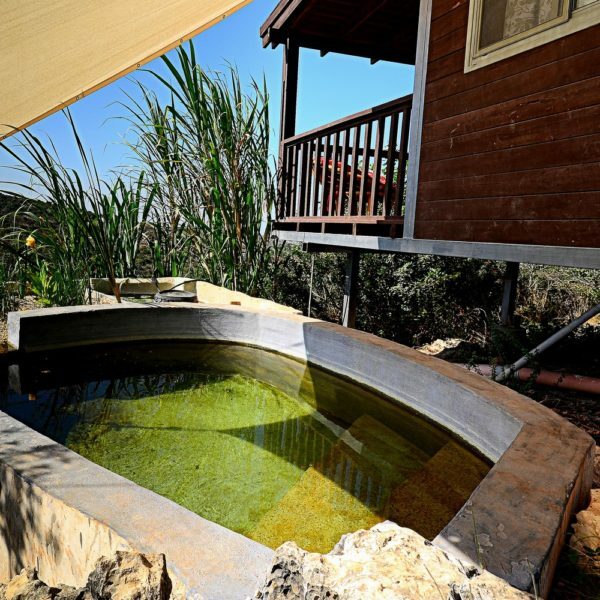 This is the perfect place for romantic couples to connect with the surrounding nature or with themselves when seeking solitude. 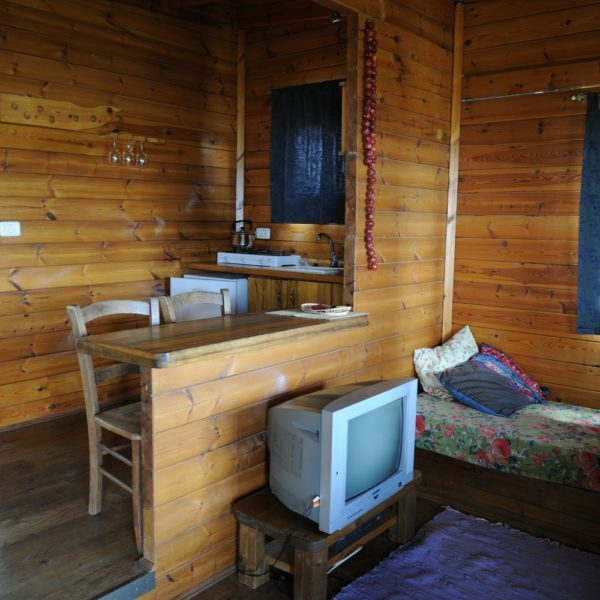 The nearby Strawberry Cabin also has a rustic children’s room and an intimate swimming pool for hot summer days.